How much time to improve my IELTS score? 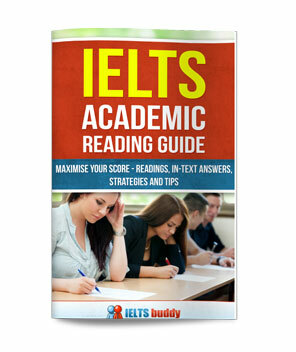 How long to Improve my IELTS Score? How can I improve my IELTS score in 10 days? Now, My Exam is at 19th March. How can i improve myself in 10 days? Because i have only 10 days. I did ielts exam in previous year. I got 5.5 band. Comments for How long to Improve my IELTS Score? Really you have left it too late. Yes it is possible to improve in 10 days by learning certain skills and tactics to use in the test. I can't go through them all here - You need to look through the site as all the tips are there. But improving problems such as poor fluency and grammar is not really possible in 10 days. Those kinds of things take time and preparation. If you are quite a strong candidate you may be able to make some big improvements in 10 days, but if you are weak and at a 5.5 you really need to give yourself much longer. I have my exam on 2nd April. I don't know what to do? I am getting difficulties in Listening, when it starts I understand everything, but when it goes fast I missed everything. Same problem in reading section also up to yes/No or True/False I do correct but somewhere I lost my confidence. Please help me and tell me about the techniques and tips. Is there any tutor who can help me? I just need band 6.5 for admission . I joined Ielts since 7th Feb. I think i improved my writing skills. I want to checked to you. Can I send you some pictures of my writing to you for checking??? In Speaking, my problem is only fluency and ideas. How can I help someone get a 5.5 quickly? I am a TEFL teacher who has to help a young Francophone to pass Level 5.5 minimum in a very short time-frame. How best can I help him please? Comments for How can I help someone get a 5.5 quickly? It's always difficult to answer these types of question because it very much depends on the current level of your student, which of course I don't know. An IELTS 5.5 though is not that high a score so it is quite possible to achieve this fairly quickly if your student has at least a reasonable level of English. You are not going to be able to improve someone's grammar much in a short space of time, so you want to focus on the structure of the essay / graph and the coherency and coherence. It's easier to improve these in a short space of time as you can show someone how to structure an essay fairly quickly. Take a look at these two pages on how to write a task 1 and how to write a task 2. These give a good overview of the basic writing structure for both. Take a look at this lesson on improving coherency and cohesion. These are the building blocks of creating coherency and cohesion in a piece of writing (you need to be careful about overusing these for a higher band score, but they are ok for a 5.5). Once you have gone through these, then go through some of the other lessons and sample graphs and essays so your student can get a good overview of what kind of questions can come up. Again, it would be difficult to improve someones grammar in a short time, so just go through practice tests with your student so they get comfortable with the test format and how to answer the questions. Then go through some of the lessons if you have time. For these, you really want to make sure that your student knows all the different question types that can come up so there are no surprises or confusion on the test day as you won't have time to increase their vocabulary range or improve their general listening ability. As you'll see from this IELTS scores conversion table, your student may only need around 50% of questions correct for an IELTS 5.5. Here are some sample readings, and here is an IELTS listening test. And just one more important point - make sure the writing and reading are done under timed exam conditions as students often have a problem finishing on time! Thanks a lot! Your help is very much appreciated by both teacher and pupil. Actually, one thing I should clarify. I said it's difficult to improve someone's grammar in a very short space of time which is true, but one thing you could focus on in making sure your student can write complex sentences and understands sentence structure. These could be practiced over a few days. To get a band 6 for grammar a student must be able to write a mix complex sentences with reasonable competence. Check out sentence structure and complex sentences here. How can I quickly improve my writing and speaking? Hi! I really have a serious problem with my writing. It seems to be that I have not improved, and the date of my exam is fast approaching hence I don't have enough time anymore. What shall I do? For speaking, I still need to hasten it, however, I've got no one to talk to in English. What shall I do? Comments for How can I quickly improve my writing and speaking? Remember you are learning a language, so there isn't really a fast way to do this, it takes time. Obviously the more time you have to learn English and practice, the faster you will improve. For your writing, you can learn to structure a good essay fairly quickly if you have the right resources. And to improve on the speaking, listening and reading, go through some practice tests so you can understand the type of questions you may get. Improving things like grammar though takes time - you can't rush this. How many months preparation to get IELTS band 8.5? 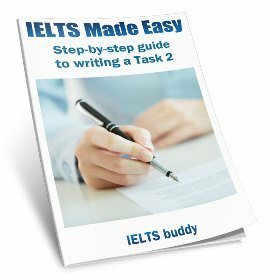 Comments for How many months preparation to get IELTS band 8.5? Unfortunately that is like asking how long is a piece of string. Nobody can answer that without knowing more about your specific level. You said you have a "good working knowledge of English" but that could mean many things. Band 8.5 is someone who is virtually fluent so you would need excellent skills to reach that. If you have excellent skills now and just need to learn a bit more about the format of the test then you could do it in a short space of time (some people get the score they need in a matter of weeks). However, if let's say you are currently at around a 7 or 7.5 level it may well take you a lot longer. But again how long specifically depends on many things - how long each day you have to study and whether you are having IELTS classes (this obviously helps as you have someone to check your work and tell you how to improve). So really it is impossible to tell. You'd need to get someone to assess your skills first. How much time to get to a band 6 or 6.5? How much time it will take to improve that level? Comments for How much time to get to a band 6 or 6.5? I am writing a few tips as per your appreciated question to clarify, how you could be able to improve your IELTS band to 6.5 very soon. You are requested to not be disappointed due to previous awful result. Be serious enough and start making another effort, Do not waste your valuable time by trial and error wrongly, just full steam ahead to find a plain systematic method. Firstly, Please work on practicing new vocabulary and notice parts of speech. Secondly, try to work on your listening skill by any audio lessons. Strictly short history will be helpful in task of reading ability at the any occasion such as subway or leisure time. Finally working on grammar as well as usual. All in all No-one is able to argue with you to say how much learning it will take for you because, certainly it would depend on your approach and your real interest to learn English. I look forward to hearing from you about your achievement soon. My worry is time. how much time it will take to reach at 6.5? 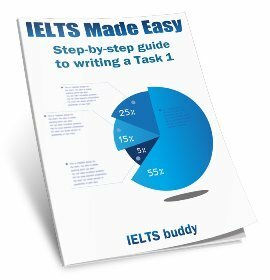 what are the best strategy to get higher band in ielts? how much daily time i have to spend as i am working professional? Nobody here can tell you how long it will take as that depends on too many things - your available time, your current skills / specific problems, your motivation, whether you have lessons at an IELTS school etc. If you get a teacher though they may be able to assess you and give you some kind of idea. Is there any specific strategy that i should have to follow? You can follow the general strategies and tips on this site. The thing that you can improve fairly quickly for example in the writing is working out how to organise your essay and make sure you answer the question. Same for the Task 1 - get to know the different types of task and how to best answer them. To do this, look through the lessons on this site on the both the writing tasks and the model answers. But things like improving grammar or reading will take more time. If you want something more personal to you, though, any specific strategy is going to depend on your specific strengths and weaknesses. So for that you'd really need to get a tutor to assess you. There are lots of listening test in you tube. Also, IELTS Tips. Always! Always watch those videos. And try to watch english movies or series without subtitles for enhancing your vocabulary. Make time table for practicing!! As I said you'll really need to get an experienced IELTS tutor to assess you if you want to know specifically how long it may take. After a month I will take an exam. I wanna to get 6.5 on the IELTS. I did practice a lot, but my result was 4.5. To tell the truth my vocabulary is enough for getting 7 score. My problems are speaking, writing, and laziness. I can communicate with native speakers but if somebody asks me about something, I have no idea for answering. I can write essay easily, but I can't describe charts. Because it takes me lots of minutes for understanding charts and I lose my time. Usually I face some challenges during study, and I don't want to study this case, please encourage me I need your help. Please advise me how can I get 6.5 on the IELTS in a month? I would say for most people, going from a 4.5 to a 6.5 in one month is not really realistic. Those band scores are indications of your English level. So if you are 4.5 you are classed under the IELTS descriptors as a 'limited/modest' user of English. A person getting 6.5 is a 'competent/good' user of English. It takes time to learn a language and you can't suddenly jump from being a limited user of a language to being good in 4 weeks. You can improve quicker obviously the more time you have to study and if you want to improve faster then you should try to take IELTS lessons or get a personal tutor. But it will still take you more than a month, so be realistic and set yourself a longer term goal. I want to improve my english writing skill in a short time and what should I do in order to get an A in english examination? There are not normally short cuts or ways to rush learning a language, it takes time, especially writing which is a skill that many find difficult to master. The quickest way though of course is if you can have private tuition, as you then get the most attention on yourself. But that all depends if you have the money as it will obviously be costly. Then there is attending classes with others which is also a good way as you have an actual teacher. I assume you want to do it by yourself though which is why you are asking here. If so, unfortunately writing is a difficult skill to improve online as you are not having anyone to tell you what mistakes you are making. 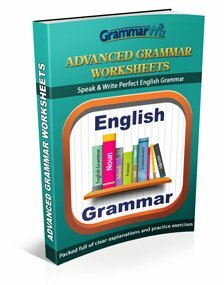 If you search online you can find places to do grammar exercises to improve it. You will also find some places where you can submit essays online for checking - it will be cheaper than private classes but you still have to pay and you will not be able to discuss anything. Or you could hire an online tutor as well - search on you will find some.